The STEM Scholars Program aims to prepare students to excel in STEM (Science, Technology, Engineering, and Math) graduate and professional education and careers. The STEM Scholars Program (SSP) provides full-time summer research experiences to Agnes Scott students in astrophysics, physics, biology, chemistry, neuroscience, engineering, mathematics, computer sciences, biomedical sciences, and interdisciplinary variations of these. Students are mentored by ASC faculty (and sometimes by faculty from nearby ARCHE institutions) to conduct authentic, cutting-edge research projects. The full-time experience of true research, with all its challenges and rewards, helps students gain essential skills for STEM scholarship and workforce leadership, and offers the chance to understand how researchers build new knowledge. 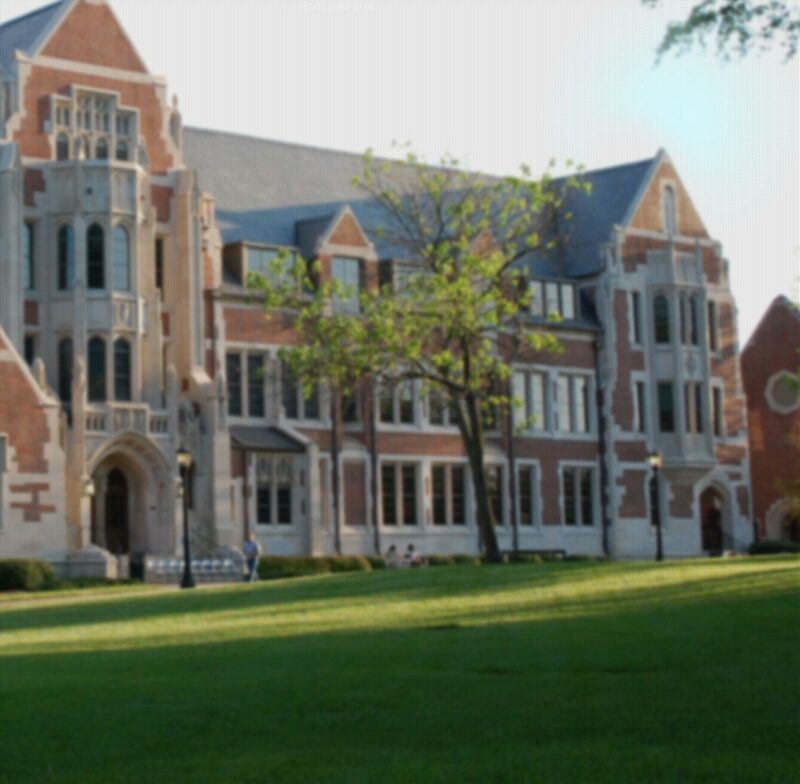 STEM Scholars Program offers funding for student research at Agnes Scott College, and at approved ARCHE (Atlanta Regional Consortium for Higher Education) institutions. In 2019, four ASC faculty-led projects will be conducted principally at Agnes Scott College. In addition, several faculty from Emory and Morehouse School of Medicine have invited interested students to contact them for more information about research in their groups. All ASC faculty projects are described in detail on the ASC Projects tab. ARCHE groups inviting student inquiries will be updated to the ARCHE Mentors tab as available. The SSP application allows students to select both ASC and ARCHE projects, and to explain their research priorities within the personal statement. Students who are interested in joining an ARCHE research group should pay close attention to the special instructions & checklist for submitting a proposal on the Proposal tab. depend on each individual project. All STEM-interested students are encouraged to apply. STEM Scholars Program welcomes DACA and international students. Student housing: ASC housing during Summer I & II session; double occupancy; interim housing (outside program dates) is not covered by program. Research opportunities at Agnes Scott College include the following. Click on title for project details. Introductory references are downloadable. Students are encouraged to go speak to faculty about the projects: ask questions and get perspective on what each project offers! To explore other research options, consider submitting a proposal to work with a research mentor at an ARCHE institution (Atlanta Regional Consortium for Higher Education). See the tabs for ARCHE mentors and proposal. STEM Scholars Program has funding to support student research at other institutions in the Atlanta area -- there are 19 colleges and institutions in ARCHE (Atlanta Regional Consortium for Higher Education). You may browse departmental web sites at Emory, Georgia Tech, Morehouse School of Medicine, GSU, or others to find researchers who are investigating a topic of special interest to you. If you would like to contact a researcher to inquire about summer research positions for undergraduates, you must follow the checklist provided below. A few faculty (see table below) have already offered to accept inquiries from Agnes Scott students who express an honest interest in their research topics. Their information is listed below, and more will be added as they become available. Do not let this short list prevent you from finding your own mentor! Rule 1: if you are not truly interested in the researcher's topic, do NOT contact them. This would be a waste of their time and yours. ASC wants to keep our good name with our neighbors by respecting their time and professional expertise. Rule 2: if you are interested in the researcher's topic, then go for it! Curiosity is your best advantage. Prepare (see below), and then contact them. Review the researcher's web page thoroughly. You should understand in general terms what their main research questions are, and who does what within the team. copy STEM@agnesscott.edu on your email to the research group. Make sure that you have contacted the faculty member you are interested in working with by Feb 21, to allow one week to complete the proposal, using the template provided on the Proposal tab. You may submit only one proposal. Many peptides and proteins interact with lipid membranes in the cell. Studying their structure and function by various experimental methods, or using them in various applications, is often easier when they are contained in a small detergent micelle rather than a lipid bilayer. It is important to understand how the micelle environment affects the structure and behavior of the peptide or protein. The student will participate in an ongoing effort to use computational modeling (molecular dynamics simulations) to determine the size of the micelle that forms around the CM15 antimicrobial peptide in a solution of octyl phosphocholine detergent under different concentration conditions, and how incorporation into the micelle affects helix formation by the peptide. Dr. Kindt’s mentee(s) will participate in the 10-week Emory SURE program. Topic: Experimental Condensed Matter Physics, with the focus on nanoscience and applied physics. The project concerns the possibility to control/engineer the magnetic phases of matter by harnessing magnetic frustration in thin films. It may involve some high-vacuum techniques, electronic and/or optical measurements, and cryogenics. The student does not need to have prior experience with any of these techniques, but needs to be interested and able to learn. For reference, a lot of information about the research group and projects is available on the website. Dr. Urazhdin’s mentee(s) will participate in the 10-week Emory SURE program. See website for details about research projects and team. Dr. Burton will mentor at least one other undergraduate from Emory College and mentees will participate in the 10-week Emory SURE program. See website for details about research projects and team. Dr. Dyer’s mentees will participate in the 10-week Emory SURE program. Role of cytochrome P450 (CYP) metabolites in the regulation of vascular and renal function. Obesity is a major and growing health problem in the United States and throughout the world that predisposes individuals to an increased risk for developing cardiovascular diseases such as hypertension, atherosclerosis and stroke. The underlying basis for these clinical sequelae is systemic vascular disease. These projects rely on small rodent models of hypertension and diet-induced obesity, as well as in vitro vascular cell cultures and proteomics approaches to understand the contribution of the SGK1 signaling pathway in the progression of cardiovascular diseases. [See web site for more research details]. Development of new culture methods to isolate and culture different types of retinal neurons (photoreceptor, amacrine and ganglion cells) to address this important question, and to identify the mechanisms (neural and humoral) that are responsible for the communication of the information among the different cells. Website: J. Christopher Ehlen, Ph.D.
will be added as it becomes available. from finding your own mentor! (refresh your browser for latest) . . .
For proposal guidelines, please see the Proposal tab. Access program information and documents using the tabs above. Review the 2019 ASC project list. Optional: review the list of ARCHE mentors and research groups open to ASC student proposals. Consider your interests, skills, & coursework relevant to each project’s requirements. Consider your goals (big & small, short-term & career). Complete the online application from the "APPLY" button below. Optional: Submit a proposal to conduct summer research in a non-ASC ARCHE lab, by following the proposal guide and checklist. 9:00 p.m. Thursday, Feb 21, 2019 EXTENDED TO: 9:00 p.m. Thursday, Feb 28, 2019. You must start and complete your submission in one sitting, because the application does not permit "save and exit". Therefore, please take the time to develop your personal statement (and proposal, if opting to pursue research with an ARCHE mentor) offline, and then upload your documents. If you must correct an error (including incorrect document attached) please resubmit the form. Your prior submissions will not be reviewed. Please minimize repeat submissions. The STEM Scholars Program Review Panel is comprised of ASC STEM faculty, SCW staff, and one or more former STEM Scholar. Reviewers will not review the applications of students where conflicts of interest arise. Each student application will be evaluated independently by two reviewers. Where scores are widely discrepant, a third reviewer will score the application independently, and the full panel will discuss the case to clarify the scoring protocol. Each application will be considered on its own merits, and all applications will be discussed by the full panel with regard to matching student interests to research opportunities. The Review Panel will make recommendations to faculty mentors, who have final approval of students matched to their research groups. Students are welcomed and encouraged to seek feedback on their applications after notification, as an educational opportunity to find potential areas to improve as well as to reinforce their strengths. Thu 2/21 Student Applications due by 9:00 p.m. NOTE: A proposal is NOT REQUIRED for projects with ASC faculty in the STEM Scholars Program. It is only required for students who want to apply for funding to work with a researcher at another institution. The Atlanta Regional Council for Higher Education (ARCHE) includes Agnes Scott College and nineteen other institutions. Agnes Scott College students may use the following guidelines to propose a STEM research project with any ARCHE lab for consideration with their application to the STEM Scholars Program. Upload proposal and PI permission document with application. Please start by reviewing the preparation checklist for contacting a faculty member on the ARCHE Mentors tab. Students may submit only one proposal with their application.